Sridhar Ramamoorti, Ph.D., ACA, CPA/CITP/CFF/CGMA, CIA, CFSA, CGAP, CFE, CFF, CGFM, CRMA, CRP, MAFF, is currently an Associate Professor in the School of Accountancy and Director--Board Culture & Behavioral Dynamics at the Corporate Governance Center, Michael J. Coles College of Business, Kennesaw State University. Originally trained as a Chartered Accountant from India, Dr. Ramamoorti holds a bachelor of Commerce (BCom.) degree and a Diploma in Mathematics and Statistics from Bombay University. After working for Ernst & Young in the Middle East, Dr. Ramamoorti came to the United States to pursue graduate studies. Joining The Ohio State University's Ph.D. program in Accounting & Management Information Systems, he achieved "All-But-Dissertation" (ABD) status in that discipline, before transferring to the Department of Psychology and subsequently earning a Ph.D. in quantitative psychology. He then joined the University of Illinois at Urbana-Champaign as an accountancy faculty member. After a few years, he returned to practice as a member of the Professional Standards Group of Arthur Andersen & Co. at its then Chicago world headquarters. Subsequently, he was affiliated with the Fraud Investigation & Dispute Services (FIDS) practice of Ernst & Young before being named Sarbanes Oxley Advisor of the National EY Advisory Practices in North America. In December 2005, he was admitted as a corporate governance partner at the National Office of Grant Thornton LLP in Chicago. After a short stint as principal of Infogix Advisory Services, Infogix, Inc., he returned to academia joining the School of Accountancy at Kennesaw State University. Possessing a blended academic-practitioner background, Dr. Ramamoorti chairs the committee for governance, risk, and compliance (GRC) of Financial Executives International (FEI) and is regarded as a GRC thought leader. 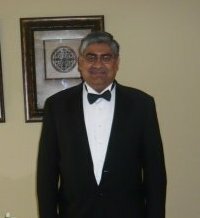 He also specializes in forensic accounting and holds the following designations: Certified Fraud Examiner (CFE) from the Association of Certified Fraud Examiners, the Certified in Financial Forensics (CFF) from the AICPA, and the Master Analyst in Financial Forensics (MAFF) from the National Association of Certified Valuators and Analysts (NACVA). Widely published, Dr. Ramamoorti has co-authored over 30 articles and 10 books an monographs. He is also a prolific speaker having presented his practice-relevant research in the following countries: Brazil, Canada, France, India, Japan, Malaysia, The Netherlands, Norway, Qatar, Spain, Turkey, United Arab Emirates, and the United States of America. David “Daven” E. Morrison, III, M.D. is an organizational psychiatrist with over 15 years of experience in working with senior corporate executives on leadership and executive functioning. The focus of his work is to deepen the capacity of senior executives to be self-aware. With a refined process of individual and senior management team consultation he has worked successfully for companies many industries and within multiple levels of management and management structures. Morrison Associates, Ltd., founded in 1976, is a consulting firm that has been working primarily with financial service organizations such as banks, accounting firms, insurance companies and private equity groups. The firm has assessed in depth more than 1,500 leaders at companies such as Abbott, Accenture, Amoco, Arthur Andersen, Ashta Chemical, AT&T, Bank of America, Baker-Hughes, BP, CF Industries, Chicago Tribune, Continental Bank, Conseco, Elizabeth Arden, Exxon, Food Lion, Hospira, Illinois Tool Works , Johnson & Higgins, Loyola University Medical Center, Motorola, Nabisco, Northern Trust, Schneider International, Unilever, Wachovia, The Williams Companies, and others. Concepts and experiences with these organizations resulted in the creation of a variety of high-quality educational programs. The firm’s research has afforded insights into assessing success characteristics in leaders, recognizing accounting partners who put the firm at risk, and measuring growth in self-awareness as part of transformational leadership programs. Daven is a graduate of Northwestern University, and a Diplomate of the American Board of Psychiatry and Neurology. A past president of the Academy of Organizational and Occupational Psychiatry, he is active with the Group for the Advancement of Psychiatry (GAP)–Committee on Work & Organizations; Institute for Fraud Prevention (IFP); and the Tomkins Institute of Applied Studies of Motivation, Emotion and Cognition. He is a Clinical Assistant Professor of Psychiatry at Rosalind Franklin University’s Chicago School of Medicine. Daven resides in Grayslake, Illinois, with his wife, Jeanette, and his boys, Daniel and Henry. Joseph Koletar, DPA, CFE, has over 40 years of professional experience in the public and private sectors. He had a distinguished career with the U.S. Army, the Federal Bureau of Investigation (FBI) and two of the Big Four accounting firms. Based out of North Carolina, he now works as an independent forensic consultant. Joe served for twenty-five years as a Special Agent and Senior Executive in the FBI. At the time of his retirement, he was the national program manager for the Witness Protection Program, criminal undercover operations, surveillance and aviation operations, and White House Background Investigations. Previously, he was an Intelligence Officer in the U.S. Army Special Security Group. Later in his career, he was an executive in the fraud investigation and dispute advisory practices of Ernst & Young LLP and Deloitte & Touche LLP. 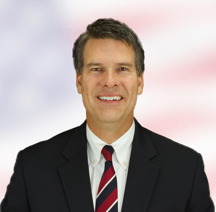 During this time Joe conducted and managed investigations at clients in several industries such as retail, healthcare, energy, and financial services. Matters addressed included executive defalcations, conflict of interest, revenue recognition, sales commission schemes, payroll and disbursement schemes, Foreign Corrupt Practices Act, anti–money laundering controls, fraud risk vulnerability assessments, compliance testing, and crisis management preparedness. Joe’s work has taken place throughout the U.S. and in sixteen foreign countries, and has involved working with many premier law firms. His clients have included General Motors, Johnson & Johnson, GE Capital, Credit Suisse, Columbia HCA, and Dell Computer. For over two years Joe ran a Swiss bank “Holocaust” that involved a review of over 16,000 boxes of corporate records dating to the 1920s. Joe holds a Bachelor of Arts degree from the Pennsylvania State University, a Master of Science in Industrial Administration from George Washington University, and a Master of Public Administration and a Doctor of Public Administration (DPA) from the University of Southern California. He wrote his doctoral dissertation on “Codes of Ethics in Complex Organizations: Assessing Implementation Strategies and Organizational Benefit.” He is an alumnus of the Program for Senior Managers in Government at Harvard University. He has written extensively on fraud topics in professional journals, has been quoted in The New York Times, and interviewed on National Public Radio. In 2003, his book Fraud Exposed: What You Don’t Know Could Cost Your Company Millions was published by John Wiley & Sons; since then, he has also written The FBI Career Guide, Rethinking Risk, and authored three sections in the Encyclopedia of Law Enforcement (Sage Publications, 2004). Joe serves on the editorial review board of The CPA Journal, and has been a guest lecturer at the University of Pennsylvania Law School, Pennsylvania State University, Kennesaw State University, and the Louisiana State University. He has spoken to groups such as the American Management Association, the American Institute of CPAs, the Institute of Internal Auditors, the New York Bar Association, and the American Corporate Counsel Association, among others. Joe is the former Chairman of the Board of Regents of the Association of Certified Fraud Examiners (ACFE), the highest elected position in the 66,000+ member global association. He was also the Chairman of the ACFE Board of Review, which deals with professional practice issues, and was named ACFE Fellow in 2003. Victor "Vic" Hartman, J.D., CPA/CFF, CFE is the founder of The Hartman Firm, which specializes in Internal Investigations, Forensic Accounting, and Fraud Consulting. 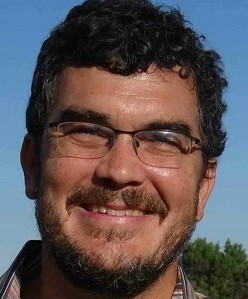 Mr. Hartman is also an Adjunct Professor at the J. Mack Robinson College of Business, Georgia State University, where he teaches a master’s-level Forensic Accounting course. 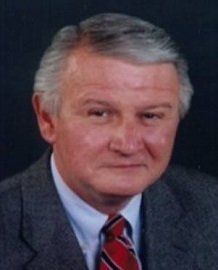 Prior to founding The Hartman Firm, Mr. Hartman served as the Chief Division Counsel and Supervisory Special Agent for the Federal Bureau of Investigation (FBI) in Georgia. He provided advice and counsel to executive management and investigative personnel regarding national security matters, criminal investigations, cyber issues, employment law, civil litigation, and asset forfeiture. Prior to being appointed Chief Division Counsel in 2008, Mr. Hartman served in various management capacities in the FBI’s Houston Division. He supervised a financial institution fraud squad, public corruption squad, and the Houston Area Health Care Fraud Task Force. Mr. Hartman is active in the forensic accounting and fraud examination community. He serves on Georgia Southern University’s Forensic Accounting Advisory Board and is an Alumni Advisor to Emory School of Law’s National Security Society. He is the President of the Georgia Chapter of the Association of Certified Fraud Examiners. Mr. Hartman held a management role in the FBI during the initial investigative phases of both the Enron and Worldcom investigations. These and other corporate fraud investigations necessitated the creation of the FBI’s Corporate Fraud Response Team in which Mr. Hartman served as a member. He also served as an Acting Legal Attaché in the U.S. Embassy in Bridgetown Barbados where in focused on money laundering investigations. Mr. Hartman is a licensed Attorney and CPA in the state of Georgia. He is a member of the State Bar of Georgia, the American Institute of Certified Public Accountants (AICPA), and the Association of Certified Fraud Examiners (ACFE). His credentials include being Certified in Financial Forensics by the AICPA and a Certified Fraud Examiner by the ACFE. He is also a member of the Society of Former Special Agents of the FBI.